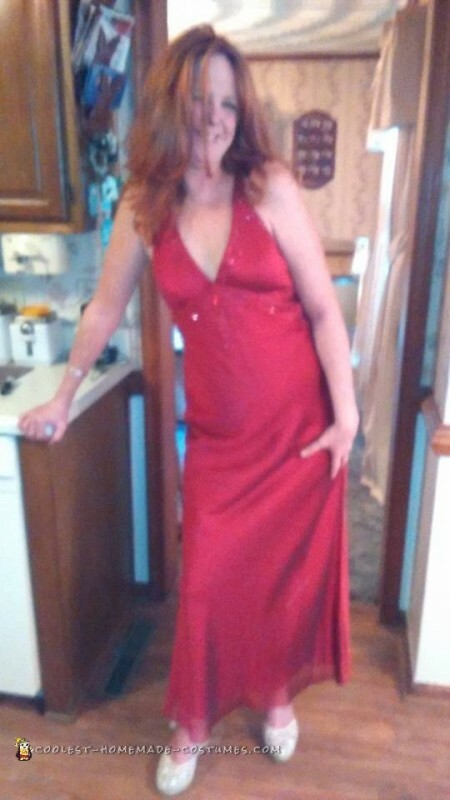 I had an evening gown I wore to a Christmas party years ago. I love horror and Halloween, ask my friends and family, they come to me with any question that covers horror. 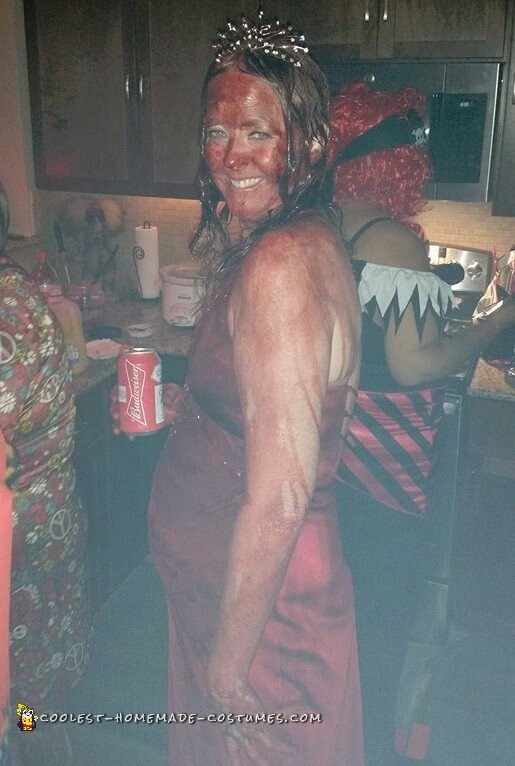 Anyhow, for my Carrie costume, I picked up a gallon of blood and a crown at Party city. 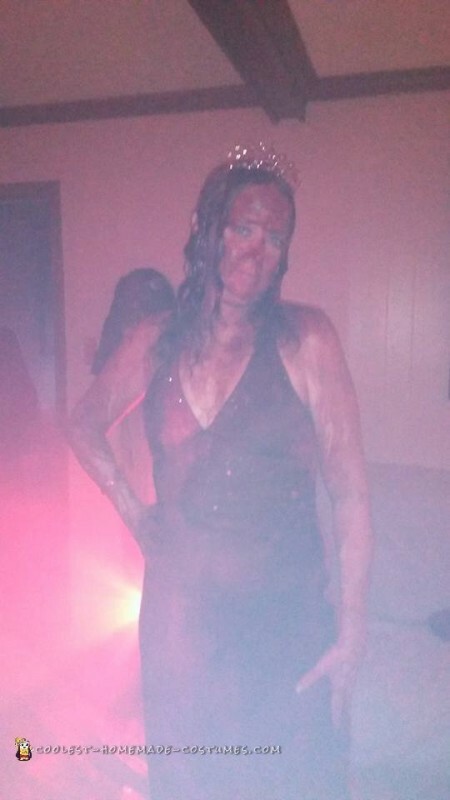 Did my make-up and hair and while I was standing on the grass outside of deck, my best friend poured the blood in a 5 gallon bucket and dumped it on me, just like they did in the movie. Keep in mind I used fake blood. My costume cost me a total of $62. I scared the crap out of people when I went to store and made a little boy cry. I felt horrible. I went to my friend’s yearly Halloween party and won a bottle of Vodka for scariest costume…LOL. The funniest thing that happened was that I played it safe and got an UBER car. When the driver showed up, I opened passenger door and I swear his eyes were huge! He screamed like a 6 year old girl and jumped out his car! LOL. I kid you not. I guess he is not a fan of horror flicks.